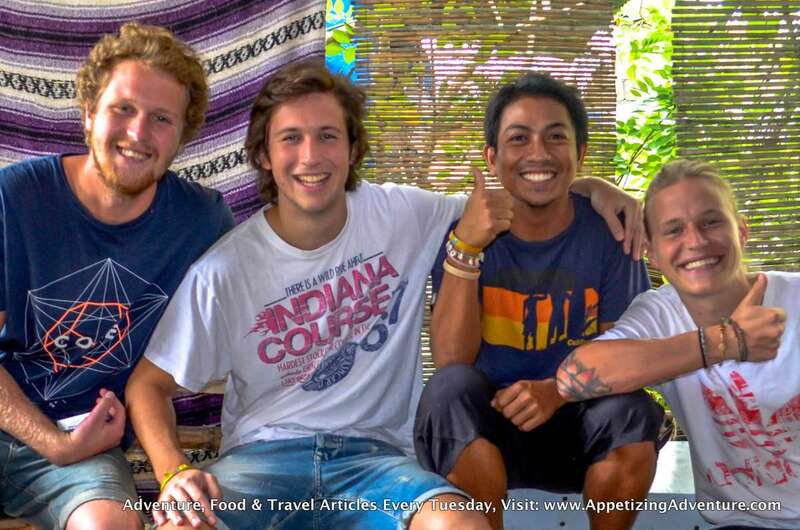 It’s the first time these foreign tourists experienced eating with bare hands. They had a great time! And that’s Kusina Luntian owner, Biboy, Cruz posing with them. 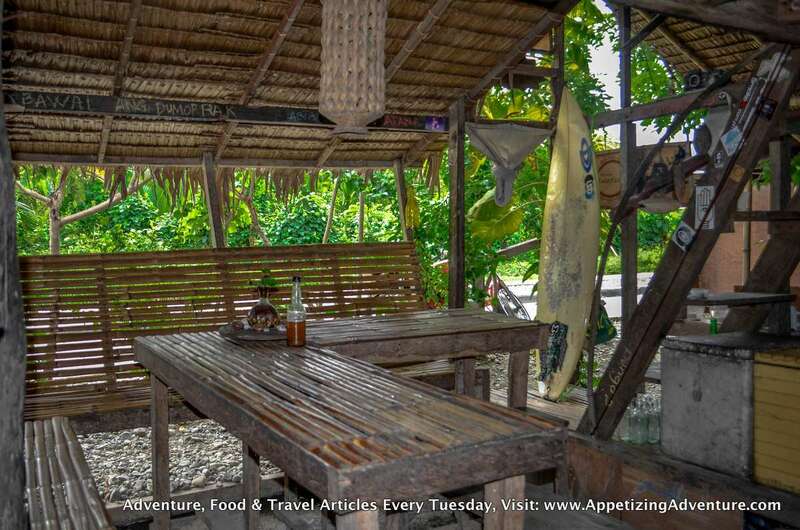 When I arrived at this modest hut called Kusina Luntian, I was suddenly confused about the raving reviews recommending this place to Baler tourists. That was until I experienced what they had to offer. 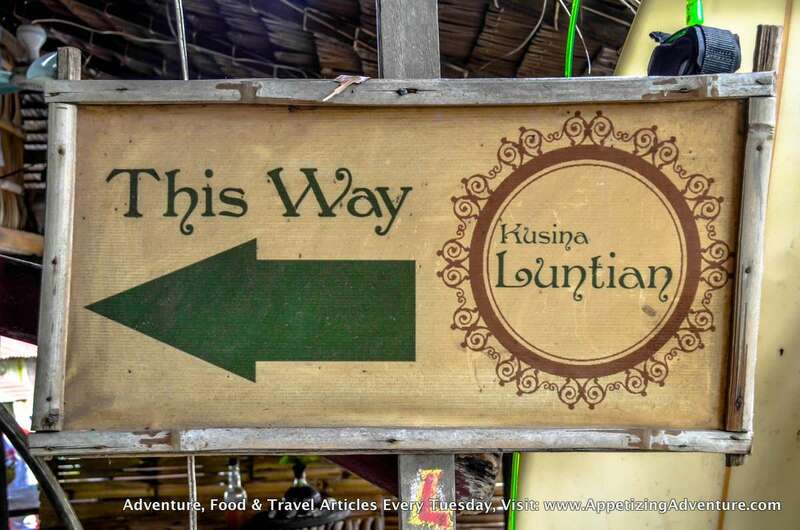 Kusina Luntian’s location is “hidden” so to speak. 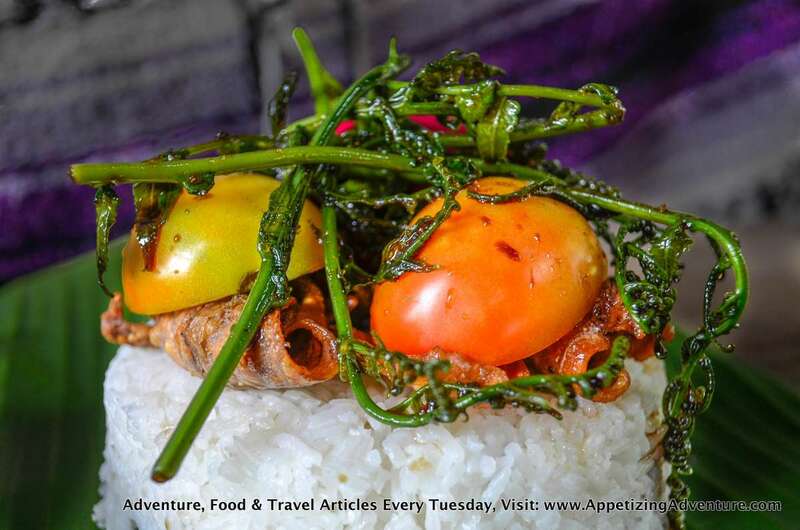 It’s relatively far from the regular restaurants. If you try to walk, you might miss it. Just take a tricycle ride and you’ll be here in 10 minutes. At first, I thought we were in the wrong place. It didn’t look like a restaurant. But after seeing their signboard, I went in. 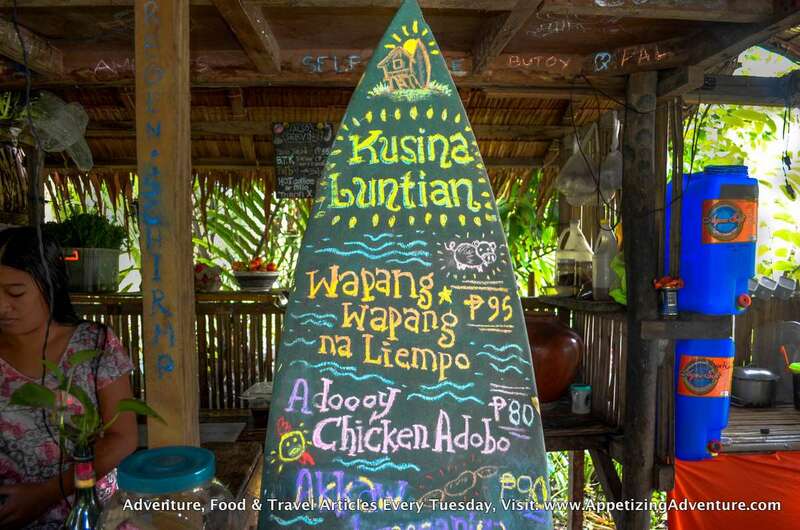 Their menu is written on a surfboard. 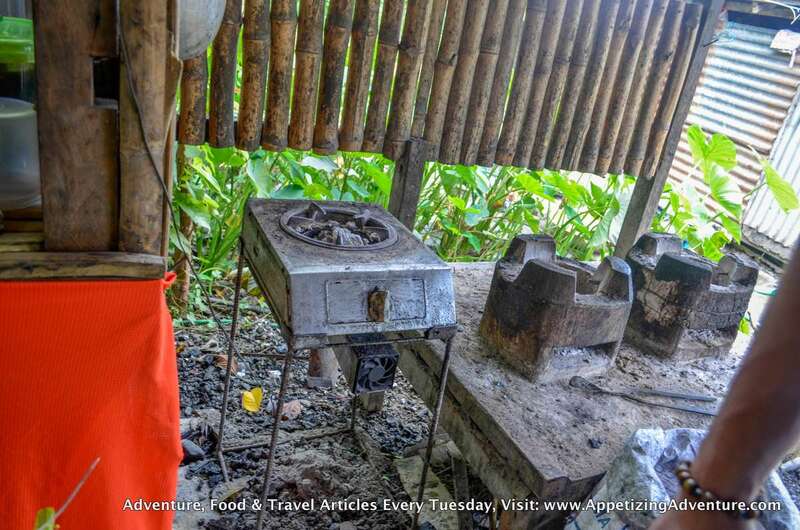 They use charcoal to cook. The seats and tables are made of bamboo. Everything was rustic. To make the rustic feel more special, you’ll have to forget the utensils. No need for forks, spoons or knives. Part of the Kusina Luntian charm is eating with bare hands. 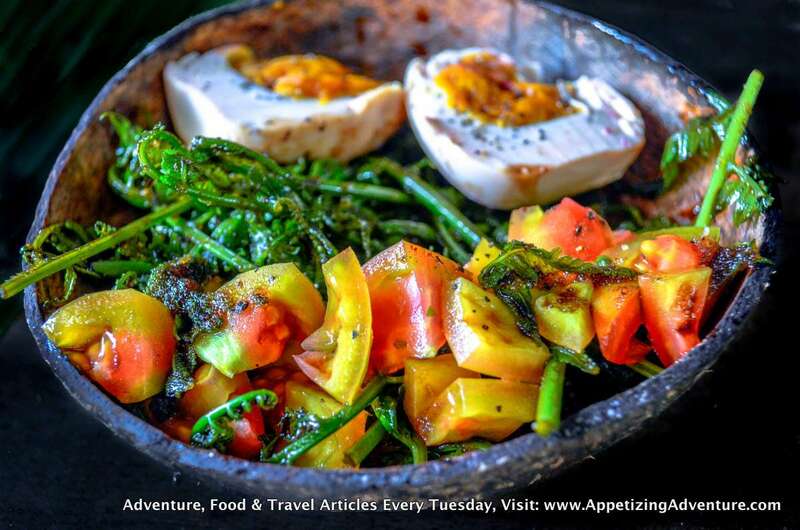 Start the meal with the best Pako Salad in Baler served in a coconut shell. It’s sweet and tangy. That’s pako (fiddlehead fern) with salted eggs and tomatoes. Initially, it felt weird eating salad with my fingers. But as I got started, the excitement also began. My friends and I were using bare hands to get our share of the salad. For the main dish, I highly recommend their Wapang-Wapang na Liempo, that’s pork belly barbecue. 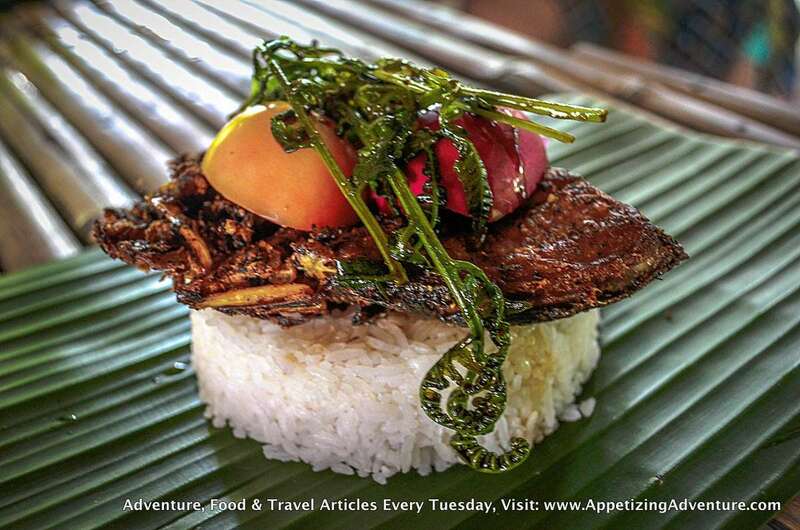 It’s smoky and sweet served with rice, pako, salted egg and tomatoes on a banana leaf. 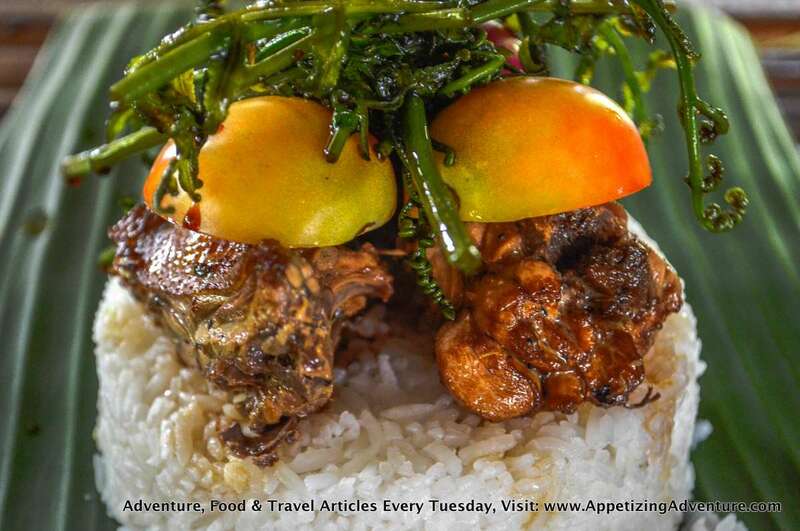 It goes well with their coconut vinegar and special chili oil. The chili oil has its own character. It’s tasty too. That’s chili cooked in oil with soy sauce, salt, pepper, garlic and ginger. It’s good on its own with the wonderful presentation. But eating this with my hands made the experience more fulfilling, something that you too might enjoy doing with family and friends. I met the owner, Biboy Cruz. 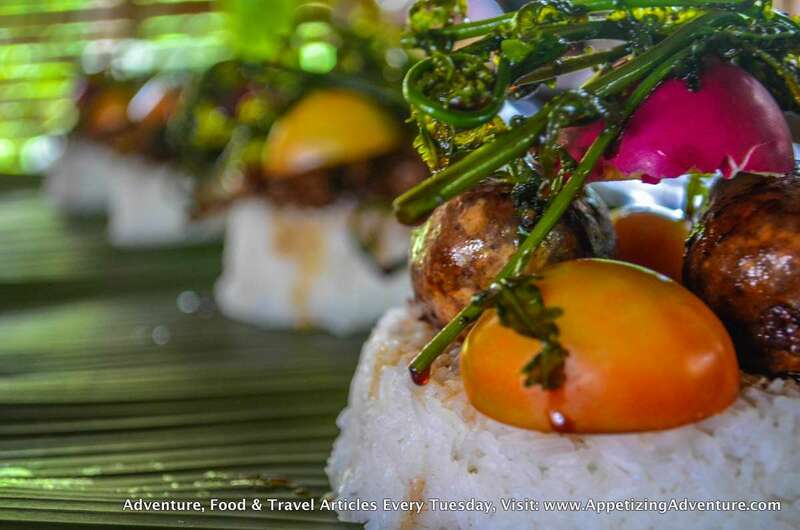 He used to live in Manila, but fell in love and decided to stay in Baler. But it wasn’t a girl. He fell head over heels with surfing in Baler. So to sustain his financial needs, he decided to put up something that’s simple, unique and delicious in 2013. That’s how Kusina Luntian began. 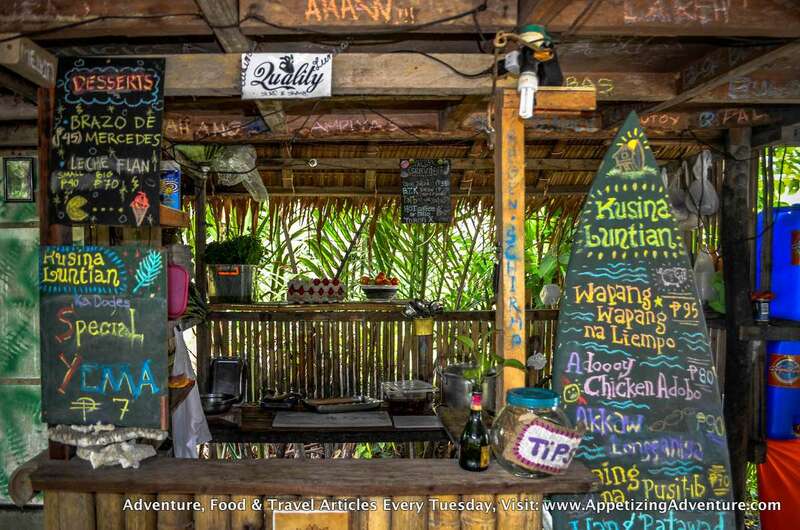 Kusina Luntian means “Green Kitchen.” Biboy said the place used to be all green with thick vegetation, that’s why he thought of calling it green kitchen. To make his menu unique, he used expressions incorporated with the names of the dishes. Wapang-Wapang na Liempo, for example. 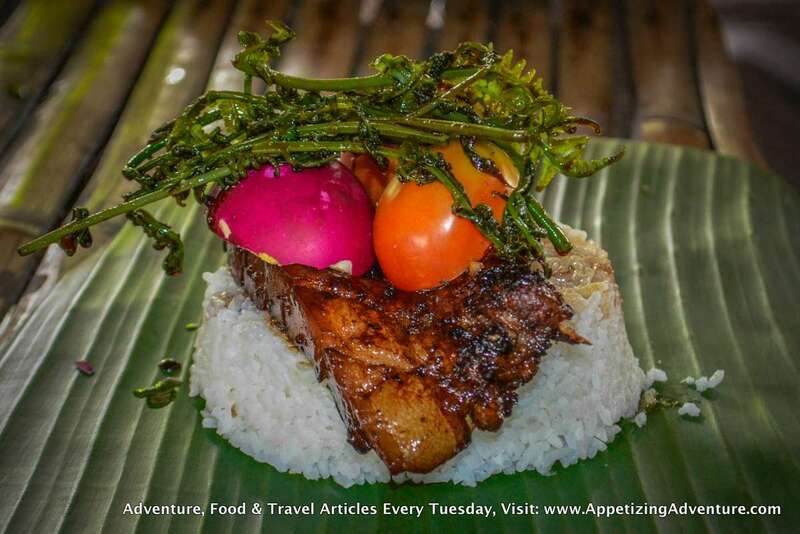 Liempo is a Filipino word for pork belly, but I had no idea what “wapang-wapang” meant. Biboy explained by giving a surfing scenario. 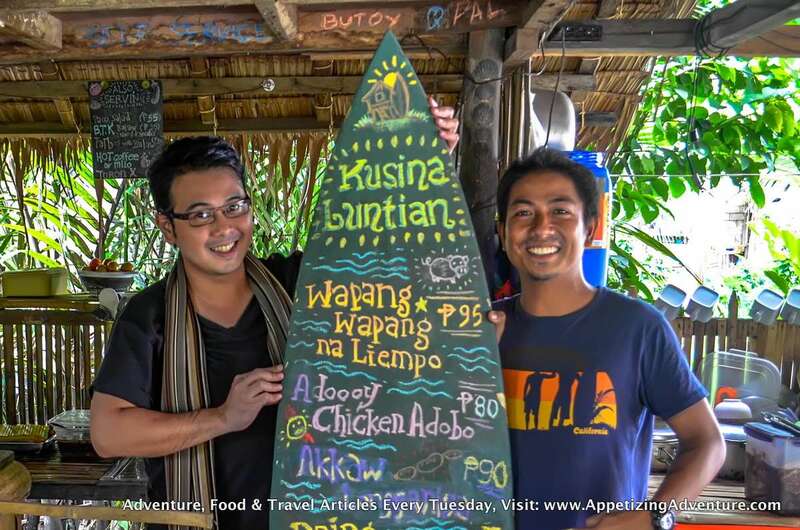 He said that when the waves are awesome, they describe the surfing experience as “wapang-wapang” or action-packed surfing. 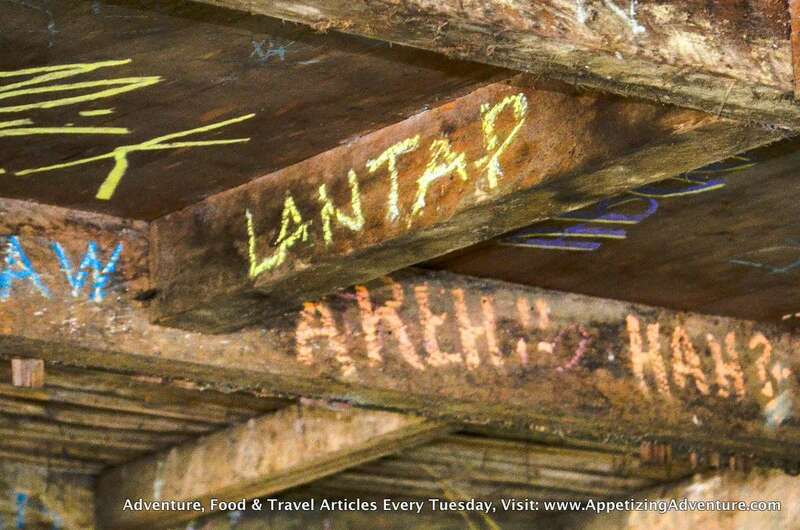 Baler words are written everywhere in Kusina Luntian to educate the customers, like the expression “lantap” which means, no waves. 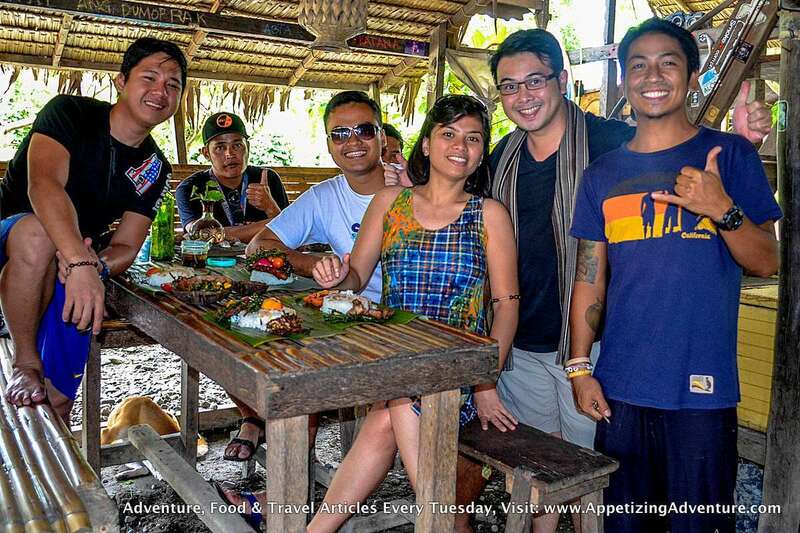 When in Baler, remember to experience eating with bare hands, boodle-fight style, at Kusina Luntian. 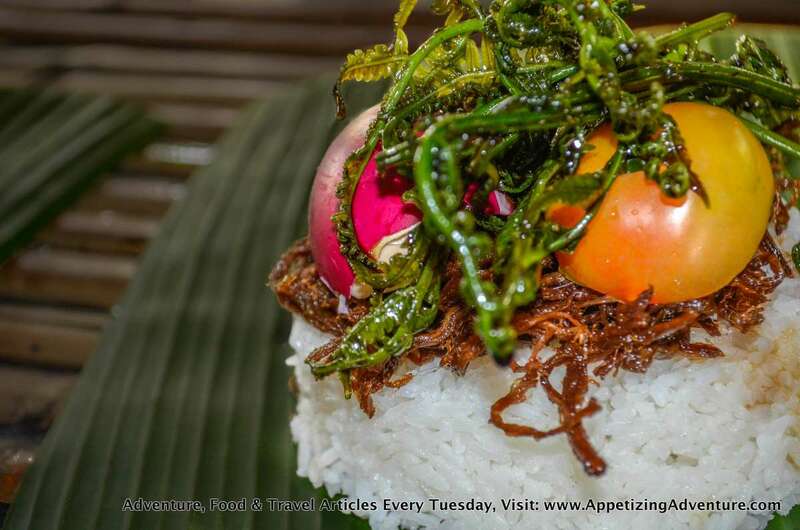 Click here for more Kusina Luntian pictures.